This brush type nib will let you have both wide and fine lines to be drawn as you wish. Connect to colouring markers and drawing pens. 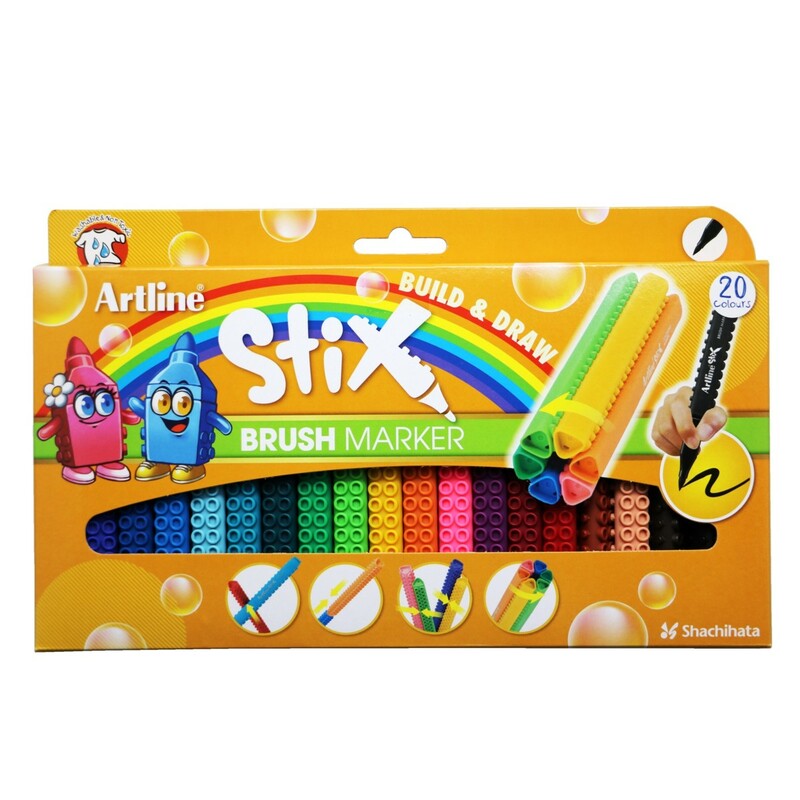 Brush type (flexible), Polyester fibre tip, waterbased dyestuff ink. 20 colours per pack. Colour : Purple, Blue, Royal Blue, Sky Blue, Light Blue, Turquoise, Dark Green, Green, Yellow Green, Yellow, Orange, Pink, Magenta, Red, Dark Red, Brown, Apricot, Dark Brown, Black, Grey.